Manufacturing food is a complex and demanding business. Configuring orders to meet varying customer requirements; managing inventory levels; finding ways to run processes more efficiently – the challenges don’t stop. And all while juggling the demands of meeting daily production deadlines and accommodating any last minute changes to orders. These challenges only continue to grow as the business expands. As the level and complexity of production rises the number of product configurations increase and delivery runs multiply. Manual processes become less and less efficient, and errors start to creep in. The business’s growth ambitions become constrained by its own systems. In order to keep up with the demands of the food industry, the food manufacturer’s processes and technology must become more scalable, flexible and efficient. Many of the challenges faced by food and beverage manufacturers relate to meeting the changing demands of consumers. Consumers’ needs are much more diverse and tastes and behaviours change regularly. Food manufacturers must develop products and meet delivery deadlines in ever-shorter timeframes, whilst minimising costs. To remain successful food manufacturers need to work more closely with customers to understand their individual needs and goals. They also need to be efficient when it comes to developing new recipes and getting products out to market. Failure to effectively meet changes in demand will result in lost revenue, out-of-stock situations, disappointed customers, poor service levels, and potentially the loss of major accounts. Take and fulfil customer orders – usually accomplished by creating a set of standard orders for regular customers, with the ability to modify to accommodate ad hoc changes. The standard orders for each daily production run, plus any last minute modifications, need to be collated, bulk ingredients measured and collected, and the required products prepared and packed. Coordinate supply and delivery – need to create delivery runs and sequencing, with the ability to easily change to accommodate customers’ delivery preferences. Appropriate packing lists and stickers need to be generated, taking into account client requirements and packaging limitations. Monitor inventory – clear and accurate information is required to monitor goods coming in and out of the warehouse, materials handling and returns. Food processors must also take into the account the additional complexities of dealing with potentially perishable goods with particular environmental requirements and limited shelf lives. These processes are enabled by the flow of numerous documents though the organisation including purchase orders, invoices, shipping notices, packing lists, and other critical data. Each document is touched by multiple people and used in many different applications. The processes need to be flexible, efficient, accurate and tightly integrated with other support systems including sales, accounting, costing, business intelligence, payroll and human resources. Many food manufacturers have sought to solve their logistics problems using a mix of ad hoc applications for each individual process, cobbled together with generic accounting software, often supplemented by the ubiquitous spreadsheet to fill any gaps. However, as businesses grow, and new products, recipe reformulations and suppliers and customers are added, this approach is not flexible enough to cope. The weight of additional data, plus more and more staff trying to access it simultaneously, leads to systems slowing, and duplication and errors creeping in. Managers in food and beverage industries are turning to technology that allows them to streamline their supply chain networks, manage inventory levels, be faster to market and better manage risk, with the flexibility and capacity to provide for a growing business. An Enterprise Resource Planning (ERP) package is essentially a suite of business tools that work together to provide functionality across the entire range of business activities. An ERP solution connects all aspects of the organisation around a single, unified database. Accounting, inventory, sales, purchasing and production functions can all be inter-linked. ERP systems bring many benefits to food manufacturers, not only improving operational performance, but also providing the framework to meet regulatory and safety compliance, and contain costs. 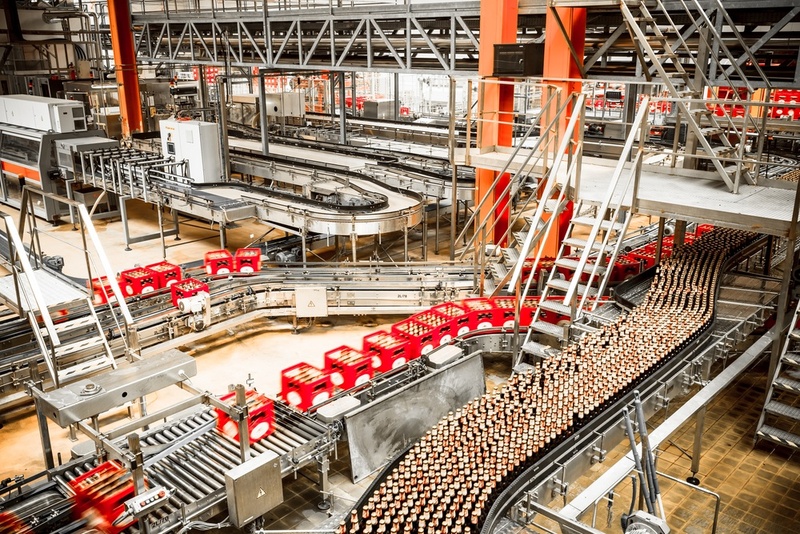 However, these benefits can only be realised if the food manufacturer selects an ERP system that supports the unique requirements of their industry. Integrates invoicing, accounting and production, for the delivery of standard, recurring orders. Allows users to quickly create a production run, bringing together multiple orders, product configurations, ingredients and packing requirements in the most efficient way. Easily accommodates changes to customers’ preferences within a 24 hour cycle. Generates daily delivery runs knowing exactly what needs to be delivered each day; what is in each run and who needs to be delivered too. In effect, a ‘just in time’ solution that allows the supplier to meet daily runs, with the flexibility to make last minute changes. The solution needs to adaptable – growing with the business. Now more than ever food manufacturers need to enhance visibility, reduce inefficiencies, and ensure timely fulfilment to meet the needs of their customers. Technology is key. Already many small to medium sized businesses use a complex mesh of systems and applications to support these needs. Unfortunately this quickly becomes unwieldy. ERP software offers a comprehensive solution by connecting functions, data flows, people and processes around a single database. It gives food manufacturers the insight, visibility and control they need to take their food business to the next level. Long established and accredited, Acacia has developed and implemented ERP solutions across the food industry. We have provided food manufacturers with site specific processes, instrumental in efficiency gains of product delivery, management and reporting. Acacia has developed an in-house range of customisations to support an ever increasing need for even greater workflow efficiencies – as an example, “Order mate for MYOB Exo” automates the production, packing and delivery of daily customer runs with flexibility to make last minute changes.